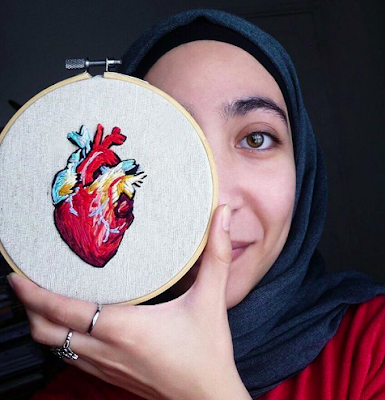 Deroui Safaes is a self-taught embroidery artist who creates beautifully detailed and often thought-provoking pieces of embroidery. In looking through her Instagram feed at @d_safae, she shares with us a bit of her process - an image on a computer screen or picture from a book. Take a look at some of my favorites!